Victoria is home to the largest medical community in the Golden Crescent region. Our progressive medical network provides ready access to state-of-the-art care on five hospital campuses. With more than 720 beds, a system of local clinics, and skilled personnel providing individualized care with the most modern advances in technology for inpatient and outpatient services, residents in Victoria and surrounding counties have access to the finest in medical care. Ancillary services in Victoria include PET scanner, nuclear medicine, and an open MRI with specialized medical services and programs including radiation oncology, sleep disorder centers, occupational medicine, health and wellness centers and a free standing surgery center. There are more than 270 practicing physicians in Victoria representing nearly every medical specialty. 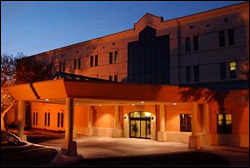 Citizens Medical Center is a 344-bed, not-for-profit, community-owned acute care hospital serving Victoria and the 12-county region, with a referral population of 140,000. Since 1956, this fully-accredited, major medical center has helped Victoria earn the reputation as one of the best places to live in America for quality health care. With more than 1,000 employees, Citizens plays a major role in the rapidly growing South Texas economy as the largest healthcare provider in the region. The medical staff consists of 240 physicians representing 34 medical specialties. Citizens Medical Center is affiliated with two rural health clinics and offers the region three, state-of-the-art MRI's and four, CT scan units including the area's only in-house PET-CT unit. Special features include the Women's Pavilion, Kathryn O'Connor Regional Cancer Center, Citizens HealthPlex, pediatrics, wound care, pain management, complete diagnostics, laboratory, respiratory therapy, day surgery, skilled nursing, sleep center, 24-hour pharmacy, home health agency, bariatric center, and two off-campus imaging centers. The Medical Center's commitment to quality was recognized in 2008 by DNV Healthcare Inc. an accrediting agency that bases its program on the integration of ISO 9001 Quality Management Processes. Founded in 1925, DeTar Healthcare System is a 304-bed acute care system that includes two local hospitals; DeTar Hospital Navarro and DeTar Hospital North. DeTar Hospital Navarro features a comprehensive cardiac program, an accredited Chest Pain Center, the area's only Medicare-certified inpatient rehabilitation, Level III Trauma Center, and a Joint Commission-accredited Primary Stroke Center. DeTar Hospital North focuses on the care of women and children, and also includes a bariatric surgery program, robotic-assisted surgery, and Level IV Trauma Center. DeTar Healthcare System is a patient-centered provider with 330 doctors and healthcare professionals, and employ over 900 local residents working to be a place of healing, caring and connection for patients and families in the community. Located inside DeTar Hospital Navarro, Post Acute Medical Specialty Hospital of Victoria is a 23 bed long-term acute care facility. They provide a full spectrum of intensive and specialized care for the acutely ill / medically complex patient requiring extended care before transitioning home or to the next level of care. Warm Springs operates two hospitals in north Victoria: Warm Springs Rehabilitation Hospital of Victoria and Warm Springs Specialty Hospital. The newly opened 26 bed, rehabilitation facility provides comprehensive inpatient and outpatient rehabilitation for adults and children and is located around the corner from their 26 bed, long-term acute care hospital that has been in Victoria since 1998. The rehabilitation hospital specializes in physical, occupational, and speech therapies while patients with complex health issues may utilize the long-term acute care hospital. Cuero Community Hospital in DeWitt County offers an ICU, ER, Education Center, and an EMS building. Physician offices, outpatient, laboratory, and radiology services are housed in the CCH Medical Plaza as well as a Childbirth Center and Hydrotherapy Unit. 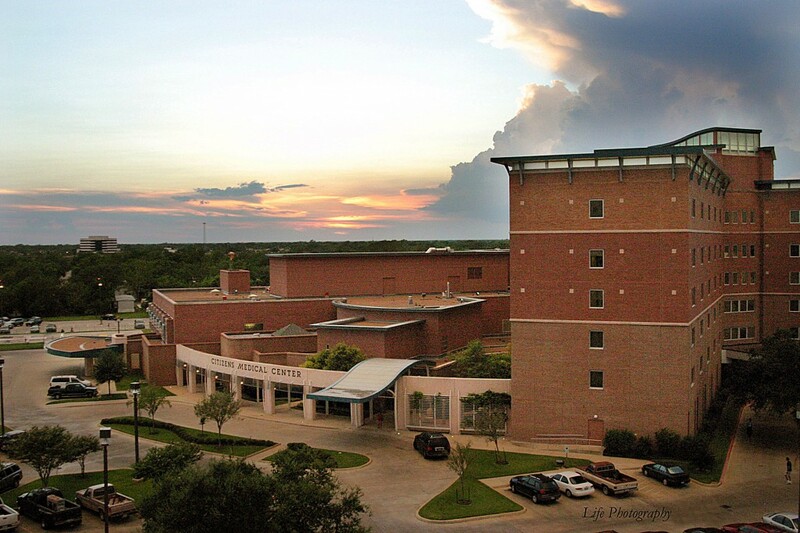 Memorial Medical Center is located in Calhoun County and the Port Lavaca area. Jackson County Hospital, established in 1973 serves Edna and Jackson County residents.